Mika Häkkinen won the Formula One world championship titles of 1998 and 1999 with McLaren. Häkkinen began his racing career in karting classes. He won the British F3 championship title in 1990 and made his debut in Formula One with Lotus in 1991. Two years later he moved to McLaren. 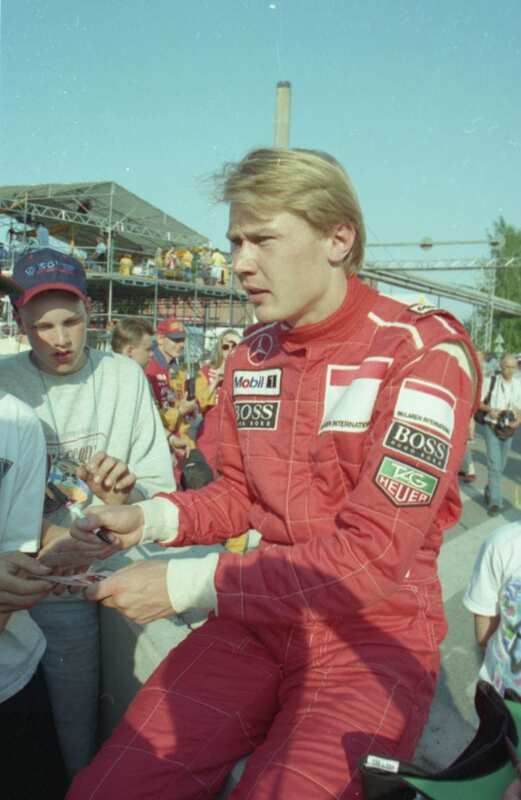 Häkkinen’s promising career almost came to end in a serious crash in Adelaide in late 1995, but he made a speedy recovery and raced again at the start of the next season. “The Flying Finn” took his first Grand Prix victory in the last race of the 1997 season at Jérez. That was followed by two World Championship titles on the trot in 1998 and 1999. In 2000 Häkkinen finished second behind Michael Schumacher. Häkkinen retired from the F1 circuit after the 2001 season having taken a total of 20 Grand Prix victories.